MOSQUITO BITE? WARM A SPOON UNDER HOT WATER AND PLACE ON TO - ProudMummy.com the Web's Community for Mums. MOSQUITO BITE? WARM A SPOON UNDER HOT WATER AND PLACE ON TOP OF THE BITE. 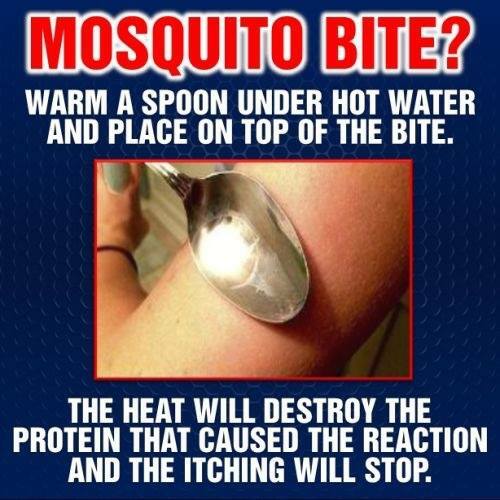 THE HEAT WILL DESTROY THE PROTEIN THAT CAUSED THE REACTION AND THE ITCHING WILL STOP.